FEATURE: You Can’t Please Everyone! Does the Hyundai Mercury Prize Need an Oil Change? Does the Hyundai Mercury Prize Need an Oil Change? we will see who will walk away with this year’s Hyundai Mercury Prize. This year’s list has drawn as much discussion and backlash as any I can remember. IDLES missed the cut last year (for Brutalism) and, although they look dead-certs to make the list next year for Joy as an Act of Resistance, it seems like there is a leaning towards bigger artists and Pop this time around. I guess Noel Gallagher’s High Flying Birds goes all over the place but many have asked whether big artists like Arctic Monkeys, Noel Gallagher and Lily Allen need the award – same goes for Florence + the Machine! The shortlist was compiled from over two-hundred albums and it was narrowed to twelve after months of study. There is no doubting the seriousness with which the judges announced the shortlist but many are noticing certain trends and omissions. If last year’s nominations was geared towards London and albums with a bit more grit and depth – Sampha won for Process but Kate Tempest and Loyle Carner were nominated; both edgy and arresting records. This year is more synonymous with already-nominated artists and those who have been around for a while! Although great albums from Jorja Smith (Lost & Found) are nominated and King Krule makes the list with The Ooz; I wonder whether artists like Everything Everything and Wolf Alice (who have been nominated before) need another nod. I agree the Mercury Prize should be decided upon quality and the best album of the year - but it is always a chance to recognise new artists who can benefit from the prize money and award. Rather than give it to someone who has already won or a mainstream artist; why not recognise King Krule or Sons of Kemet?! There is always this division and argument when the shortlist is announced and it seems opportunities are being missed. Nadine Shah, nominated for Holiday Destination, seems like a shoe-in to me and she is someone who could really benefit from the prize. Her political and vital album is more powerful and popular than any politician’s message and it gained a score of great reviews. She has not been nominated before and it would really raise her profile – especially as a Muslim woman in music. It would be good if Nadine Shah or Jorja Smith won but I have the feeling either Arctic Monkeys or Florence + the Machine could win. Whilst both albums gained applause and are great works; how are they going to benefit from the Mercury?! I feel the money is irrelevant and the award will not change their direction or make a huge impact. There is this split between those who say the Mercury Prize should be about quality and the best album around and those who feel it needs to go to an upcoming artist who is being recognised because of their potential and to help build their platform. I am not sure how Sampha has been spending his time since he won the award last year but I am sure he is making new material and it has made a big impact. Those who say the award is ‘cursed’ – some artists won it and their careers disappeared – could make an argument against giving it to a popular artist who might be impacted negatively. I remember when the shortlist was announced and a lot of the feedback was critical. Journalists came out and called the list quite soft and populist; not taking any risks and not representing the best of British. Judges like Clara Amfo and Jamie Cullum have made their choices but I feel there will be big questions asked if a mainstream artist wins on Thursday. I feel two things could happen regarding future years. I feel like having one prize and only shortlisting twelves names is going to be limiting and controversial. 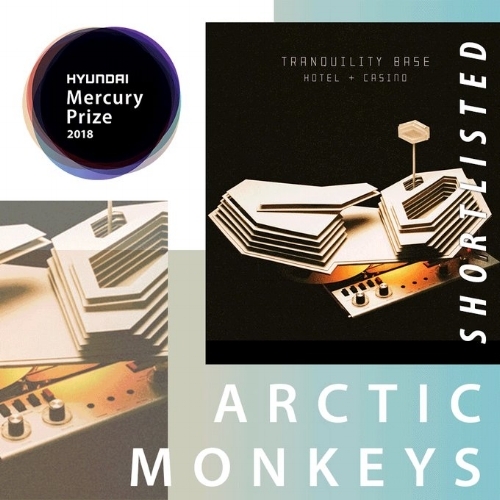 I wonder whether the shortlist should be even longer – maybe sixteen names – and dividing the categories into a Best Album of the Year and Best Newcomer category. I feel, if you have one award/list then you are always going to court controversy. By introducing another category then you are going to be split between rewarding the best artist/album and those who could benefit from the award. Another problem is those who turn their noses up at ‘token’ artists in the genres of Jazz. Critics always list them as also-rans and put them at low odds – there to make the numbers up and merely show something interesting. Maybe the records artists such as Sons of Kemet produce are not as commercial as Noel Gallagher and will not get the airplay of Arctic Monkeys but should we be asking WHY their inclusion is necessary and how they could benefit from the prize?! “Talk to the acts themselves, however, and a different story emerges. “I don’t care if we’re called a token jazz act if we sell 3,000 more records,” says Shabaka Hutchings, whose jazz group, Sons of Kemet, are among the favourites to win. “And it might be a coincidence, but I’ve noticed things happening since we were nominated this year.” Their gigs are selling out more consistently and the band are getting better stages at events. They’re getting support they don’t get from the Mobos, Hutchings argues, as he has before, and don’t start him on the Brits. “That side of the industry doesn’t care. But this is like a little stamp: you are given a level of validation that reverberates. And if it sells more albums or tickets, it helps subsidise our music and push our scene as far as it can go”. Past years have given the Mercury to Drum ‘n’ Bass artists (Roni Size in 1997) and Ms Dynamite (Hip-Hop/Rap) won in 2002 for her debut – there have been some good and rare inclusions but it seems the nominations are getting more commercial and less risky. You could argue the nominations of Jorja Smith and King Krule carry on from last year’s nominations of Loyle Carner and Kate Tempest – those artists who are producing something more substantial and original. Neither of the nominated won last year and there is that fear 2018’s prize will go to a chart act. Are we ignoring artists who could get a kick from the award and really do something with it?! “A look at the prize’s early years and the token acts included back then is instructive. The prize was established as an alternative to the Brits, says Trevor Dann, who was a judge from 1995 to 1997, “not to reward success, but to serve and promote the rising stars of British music culture. It was a tough time back then. People didn’t want the British music scene to be forgotten and overrun by the US.” The first shortlist in 1992 did include the Sheerans and Gallaghers of their day – Simply Red and U2 – but Jah Wobble, John Tavener, jazz artist Bheki Mseleku and the former Magazine bassist Barry Adamson lined up alongside them”. People can contrast their playlists through streaming sites and crossover artists are suffering. Genres like Folk rarely get a look-in and what about Classic musicians?! There are some great current composers but many cannot afford to put a C.D. out and will suffer on streaming sites. A lot of great artists missed out this year – including Shame and Let’s Eat Grandma – and I feel there is an identity crisis happening. Do we need to widen the Mercury so that there are categories that ensure great Jazz and ‘token’ artists actually get recognised? !